Home / Concorde / Why the Concorde Stopped Flying? The Concorde is the commercial supersonic jet that could fly at a speed of Mach 2.04 which is 2 times the speed of sound! It could fly London to New York in 3.5 hours. Amazing, isn’t it? The Concorde was a joint program between the United Kingdom and France, it was built by Aerospatiale and British Aircraft Corporation (BAC). Its first flight was on March 2nd, 1969 and it was introduced on 21st January 1976. 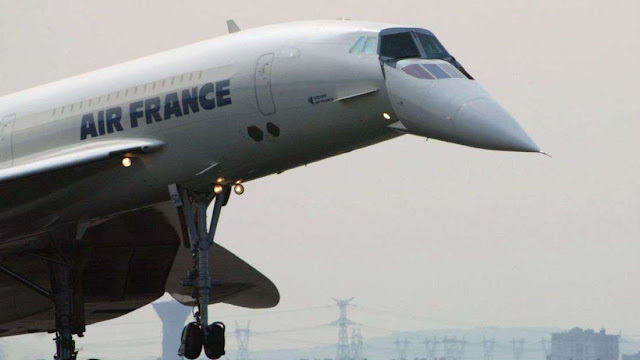 The Concorde flew a world tour and visited even Chennai and Mumbai to attract airlines, Air India had shown interest in buying the Concorde which was canceled later. British Airways and Air France became the only operators of the Concorde. What was so special about the Concorde? The answer to this pretty much everything about the aircraft is special and even today there is a community of enthusiasts who want it back in the skies. The aircraft was well ahead of its time in several ways. It flew at a speed of Mach 2.04 or 2518 kmph! These features may not sound impressive today but during the 1960’s it was an engineering marvel, these technologies were used on the Concorde decades before Airbus or Boeing made it a norm. The Concorde had a very unique feature, it had a dropping long nose that would allow pilots for better visibility of the runway during take-off, Landing and also increased drag that helped reduce the speed of this Supersonic jet. Why the Concorde was retired? There are multiple controversial reasons to why the aircraft was retired from commercial service. 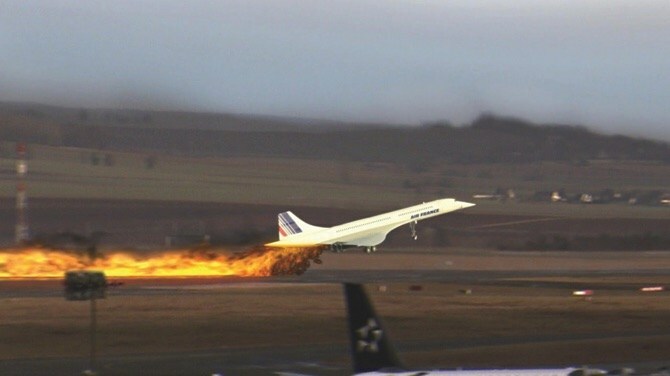 This was one of the reasons why the Concorde was grounded forever. The aircraft was said to be one of the safest in the industry but that changed on July 25th,2000. Air France flight 4590 was a charted Concorde flying from Paris to New York City, The aircraft ran over a small metal debris on the runway from the previous DC-3 that took off, this Debris was a result of poor maintenance. The aircraft was at or over the maximum takeoff weight and ran over the debris at high speed which blew a tire and puncturing a fuel tank, the fuel caught fire and the engine failed. The aircraft was past the decision speed for takeoff or V1 and the crew had to take off which resulted in a crash into a nearby hotel killing all 109 souls onboard and 4 people in the hotel. It’s a known fact that the Concorde was not fuel efficient, an aircraft flying at the speed of Mach 2.0 could not also be fuel efficient. The aircraft burnt an approximate 25,629 liters of fuel per hour and about 119,500 liters of fuel for a full flight. That was equivalent to a Boeing 747 with a full payload, note that a 747 can carry approximately 400 passengers and has a range of 13000Km. It became increasingly expensive for an airline to operate the aircraft considering the oil prices surge in the 1970s. A return ticket on a Concorde cost an astounding $11500 and had cargo restrictions since it did not have a cargo hold. The cost of the ticket is proof that it very rarely flew with full passengers which in turn made losses for the company. Despite being an engineering marvel and absolute beauty of an aircraft, the Concorde was simply too noisy and inefficient to survive the cut-throat market of aviation. Its high energy consumption forced the airline to search for a better solution. In 2001, the aircraft returned to service after $91 million was spent on safety improvements. In 2003, British Airways and Air France announced the retirement of the Concorde, hence was the end of a legacy of supersonic commercial flights that are still yet to be revived. Today the Concorde attract thousands of tourists and aviation geeks from around the world as it stands a static display, the remaining aircraft returned back to Bristol, where it was manufactured and rests in a multi-million dollar Hangar facility built specially for the Concorde.